We are a group of technology enthusiasts who are passionate with the uses of gadgets and nifty pieces of equipment. When digital signage came into our picture, we got excited and decided to take it for a ride. 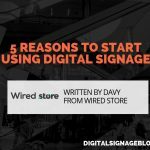 In fact, with the tremendous popular rise of digital signage and its applications everyday, it has now become part of our profession. Our first success was Advertise Me, an established digital advertising solutions company in Australia. Through establishing many clients and partners, we created the Digital Signage Portal. And if that wasn’t enough, we decided what the heck – let’s blog about it! We have been operating in the digital signage industry since its birth in Australia, and have come across many experiences in this line of business. Apart from working, we also obtain many useful sources of news and information that we think would be beneficial to the digital signage community. So where else would we collaborate all our experiences and news? Right here of course! There are currently several contributors to the Digital Signage Blog. From time to time we like to invite others to write something or submit a topic to us, and we will post it on the blog. 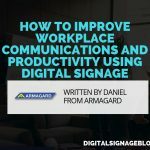 Having said that, if you would like to share a post with us, feel free to send it to info@digitalsignageblog.com. 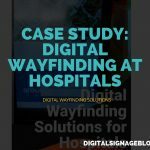 To visit our Digital Signage Portal to interact with the digital signage community from around the world or visit the Digital Signage Articles for a mix of different digital signage articles from around the world. Now if you’re looking to exchange links visit the Digital Signage Experts.